Jennifer Clark is from Glasgow (Scotland). She is bass player with Alan Reed and the Daughters of Expediency and with the Scottish singer Horse McDonald. But she does a lot more. ‘Jen’ also plays double bass, guitar and keyboard. Moreover, she is a producer, arranger and composer. She has played on more than 25 releases. Recently she released her very first EP under her own name, with five instrumental rock songs. ‘Re-entry’ has a surprising, different than usual drum tempo. Pretty soon guitar and bass come in. There is a nice division between rhythm and melody, to which higher tones have also been added. Great piano playing follows with interwoven strings. A little later you also hear the acoustic guitar. The bass is the main thread in a large part of this opening track. The twists and turns are so smooth that sometimes you barely notice them, encouraging you to listen extra intensely. The mix sounds good on headphones. The title track has a captivating intro. A tension arc is created: when does the turn come? This takes a long time. If there is one, it could have been more explosive. Moments later I think that there is an ‘explosion’ of sound, but it is a pinprick. The repetitions in the drum rhythm are a bit too dominant, both in terms of volume and the number of repetitions. It pushes the other instruments too much into the background. Yet ‘Ascan’ has an enjoyable flow. This, unfortunately, ends in a fade out. ‘Eva’ has a chill factor in it. ‘Ascendant’ changes from light rock to laidback a few times. The distribution between the instruments does not differ so much. Jennifer could have chosen to give some instruments, for example, the acoustic guitar, a slightly more prominent role. Stacked layers in the music are definitely beautiful. By giving certain details a little more space, more ‘depth’ was created in the listening experience. ‘Heliosphere’ has a small intro played on acoustic guitar. This is complemented by some clear and high tones of the piano. The minimal nature of the music allows them to stand out nicely. The layers in this subtly played final song are in good balance. These five songs are mainly chilling to laidback in nature, with some melodic rock. All intros are beautiful. Because the songs are short, there is less space to develop a big intro, middle section, and end. As a result, there could be more depth in the construction. 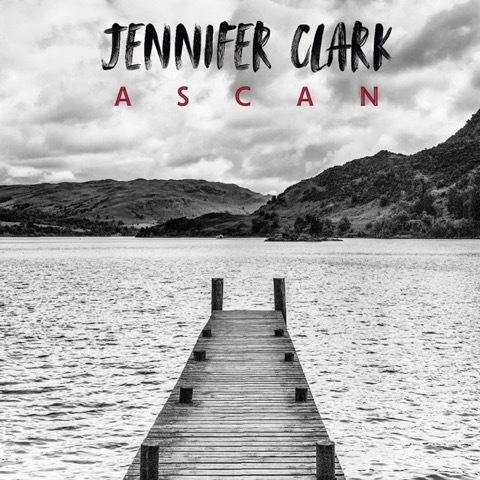 All melodies are lovely, and ‘Ascan’ is easy on the ear. Hopefully, Jennifer will do her own work more often. In addition, I hope for a full CD. I am definitely curious about more!